Enter the promo code GOLD at checkout. Exclusions apply. 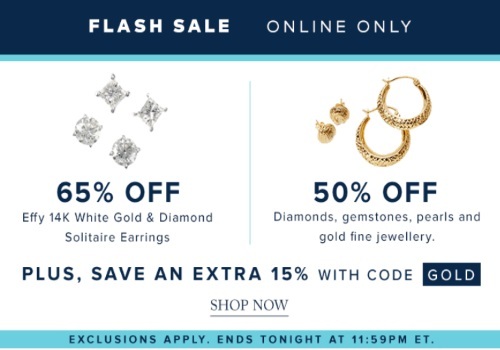 Offer ends Sunday, March 6, 2016 at 1159pm ET.